The beauty and natural setting of the Camp Riverview setting provides the perfect place for an environment that enhances spiritual growth. 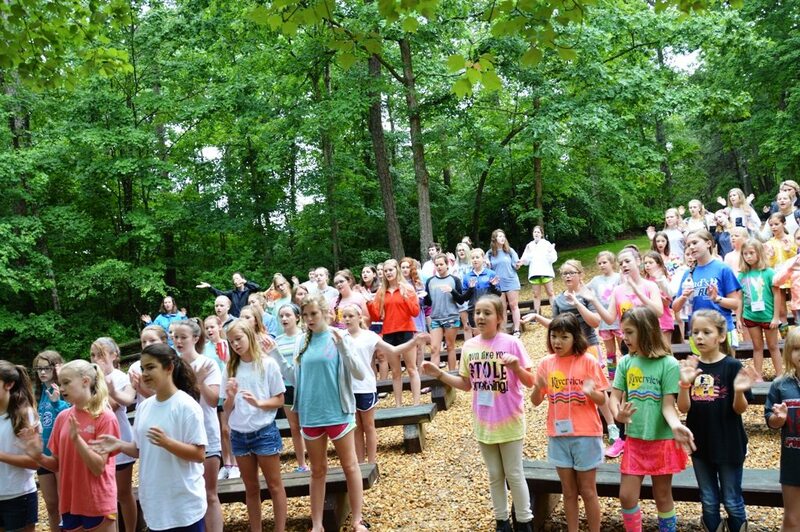 Riverview is an inter-denominational Christian Camp that provides a balanced approach to nurturing faith development of both campers and staff. We have a delightful worship service on Sunday with a guest speaker and music worship team. We also provide chaperoned transportation to Catholic Mass in Fort Payne , AL for our Catholic Campers. It is our intention that by living in this beautiful setting, by association with other wholesome girls and through the influence and example of enthusiastic Christian athletes and staff that campers can develop a greater awareness of God’s presence and guidance in everyday life…and that they leave camp empowered to make better decisions. We thank God for the privilege everyday! You will experience joy and peace in these mountains and hills as they sing along with you, and the trees will gently sway in applause of your presence here. Morning Watch begins our day with a time of quiet reflections in a beautiful wooded setting. Vesper campfires are a nightly tradition on our campus that includes a time of singing together and talks to inspire all. On closing evening of each session, we have a special banquet followed by River Reflections. This is an event rich with camp tradition and meaning for campers. An opportunity for the camp community to come together for one final time to reflect on the session, it offers a sense of closure to the camp experience, a time to thank God that we have shared our lives together.